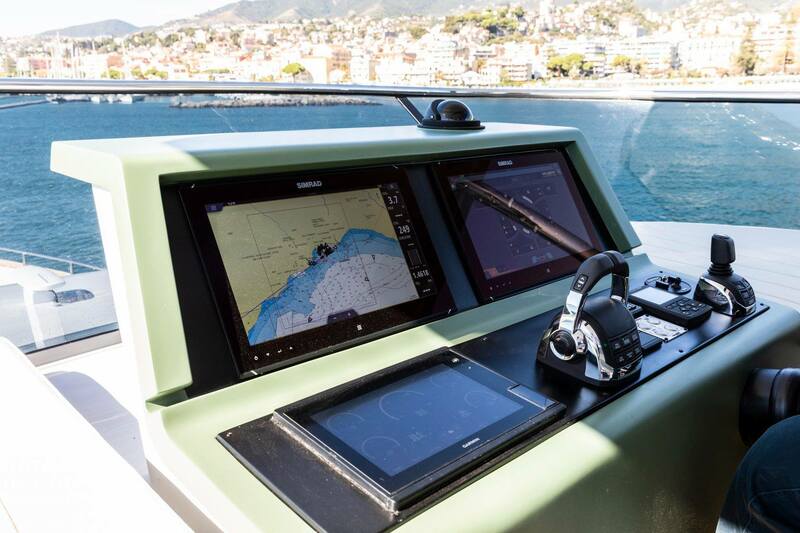 Naviop is proud to have contributed to the success of AMER YACHTS at Boat Builder Awards 2018 at Mets tradefair in Amsterdam. The shipyard of Sanremo won the prestigious award in the Enviromental Initiative category, with the new superyacht Amer Twin 94, for its choices, in terms of technologies and materials, aimed at environmental sustainability. 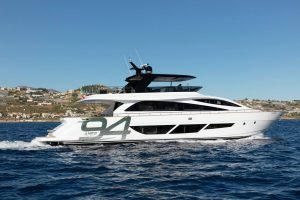 Among the eco-friendly solutions in this yacht there is MyGreen, a concept conceived by Seaenergy, developed and designed in collaboration with NAVIOP. 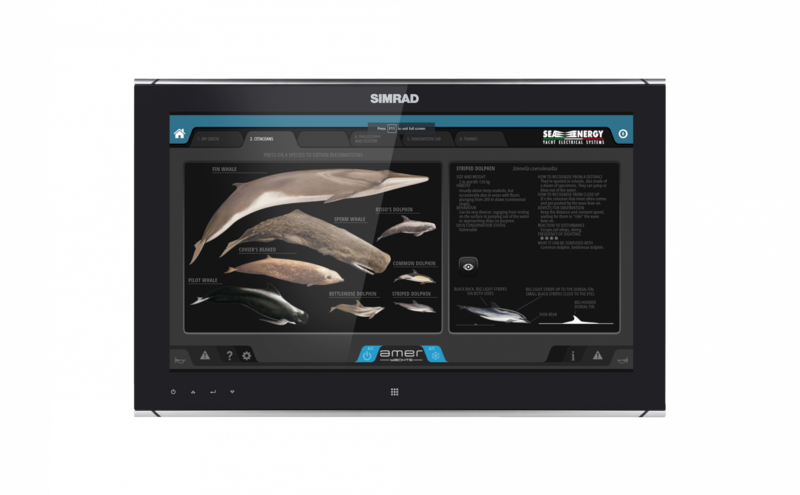 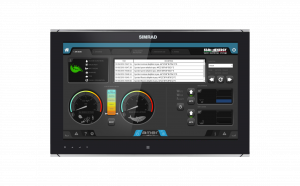 The software is integrated into large Simrad MO19-T displays with an extra-flat design specially designed for yachts and center consoles. 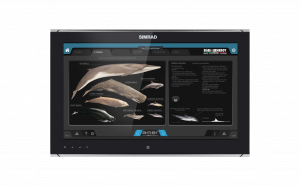 My Green pages allow an appropriate behavior in the presence of ceteans and the scheduling of their sightings: “NAVIOP has always been sensitive to environmental issues. With MyGreen pages, it’s possible monitoring and recording the presence of cetaceans and, through some specific facilities, it is also possible to control the discharge of wastewater and enable an automatic control system that prevents water dumping under 3 nautical miles from the coast“, explains Gianluca Babini, project manager, “We think that this device combined with the very low consumption in displacement can be adopted in the future to access to protected areas”.